Learn about winemaking, wineries and the four main wine producing regions in the Algarve. Due to its favorable climate and southfacing geography, among other factors, the Algarve has the necessary natural characteristics for producing fine wines. The landscape forms a natural amphitheatre within which its vineyards are protected from cold nothern winds. There is an average of 3000 hours of sunshine per year in the Algarve and the soil of the region is ideally suited for growing great grapes and thus, producing excellent wines. These natural bounties are now complemented by the creative blending of traditional and innovative techniques to produce memorable wines where quality trumps quantity every time. Currently, Algarve winemakers produce around 80 different grape varieties. With the emphasis on quality rather than quantity, a rigorous process of pruning can sometimes mean up to 50% of nearly ripe grapes are removed. 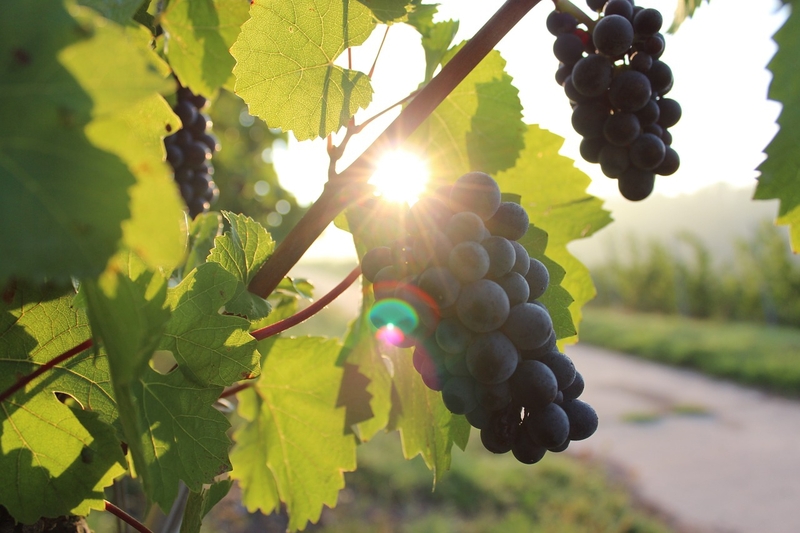 This may sound drastic, but ensures greater quality in the remaining grapes as the growth energy of the vine and its capacity to bear the best fruit is heightened. In the Algarve, grapes are frequently harvested the old-fashioned way - by hand. This is a concious decision by the winemakers. Handpicking causes less stress to the plant, less damage to the grapes and reduces the risk of early fermentation. However, this doesn't mean that technology is unwelcome. From the cooled trucks that transport the picked grapes to the precision and quality control of the wine cellar, technology plays a vital role. There are four main wine producing regions in the Algarve, classified as DOCs – Denominação de Origem Controlado. These regions are Tavira, Lagoa, Lagos and Portimão and their status as DOCs means there are strict quality controls – minimum alcohol content, variety of grapes used, aging time, etc.. Over the last ten years there has been a substantial increase in production within the regions. Read some more about wineries in the Algarve .